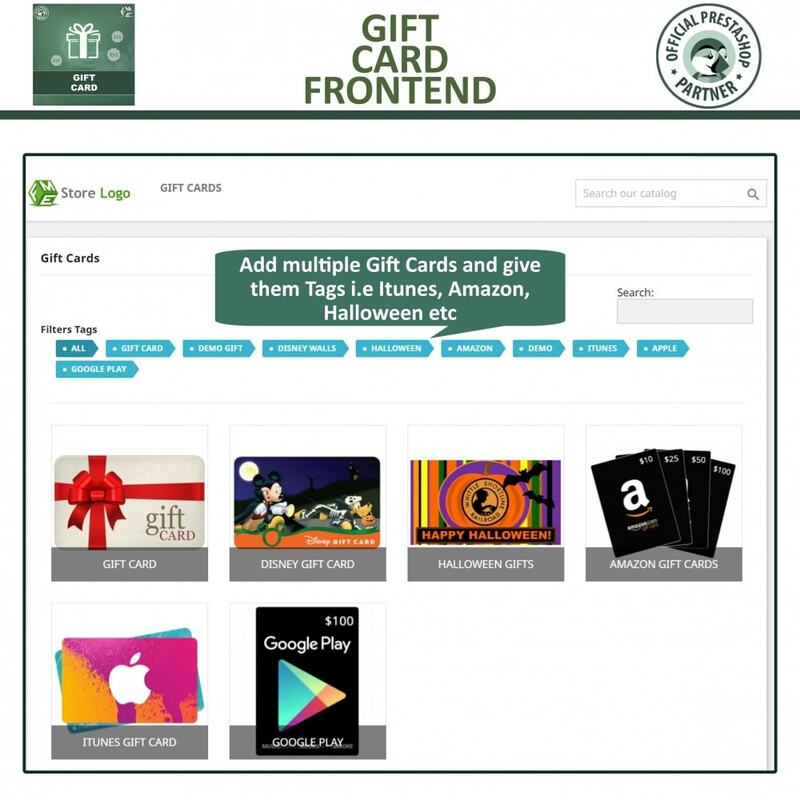 What this Gift Card module does for you? 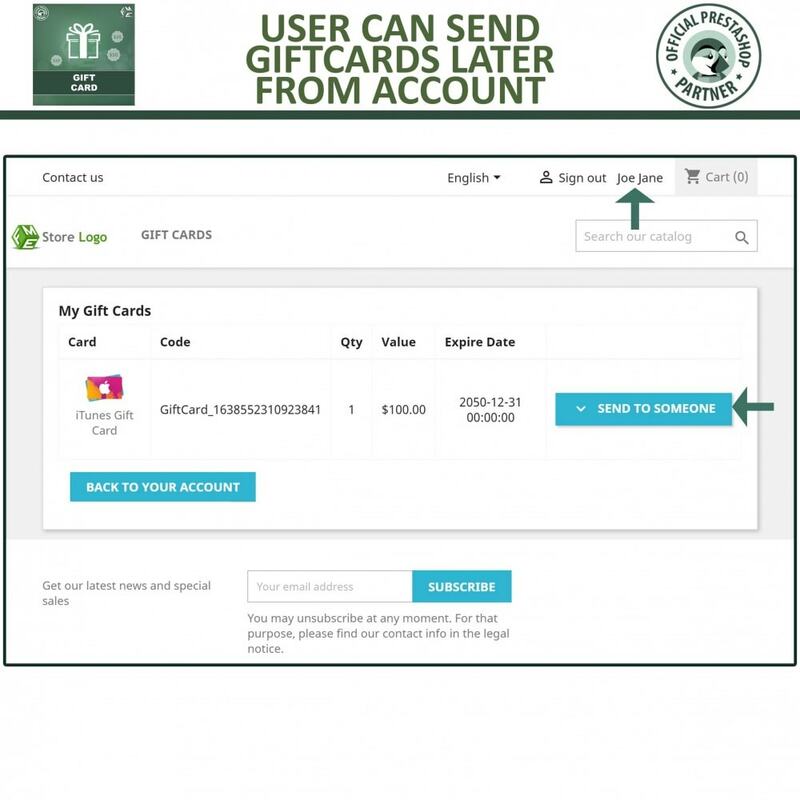 Allow to send a Gift Card of custom amount, range or from a Pre-defined amount drop down. If you want to maximize conversion rates, this PrestaShop gift card module is the right find for you. It not only enables you to offer gift cards to customers but also works as a referral optimizer for bringing new visitors. What this gift card PrestaShop Extension has to offer? Do you want a non-ceasing flow of visitors and revenue with free marketing? Out Gift Card module does exactly that. It forces the recipient of the Gift Crad to only buy from your site with discount. Gift Card module works as a free promotion generator for your website while automatically producing revenues. 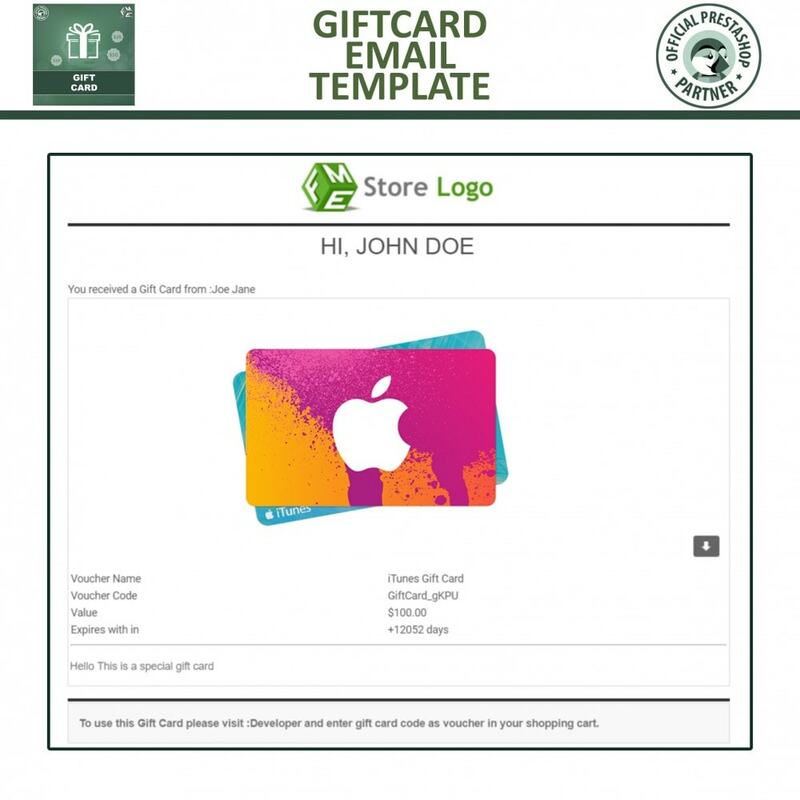 Each time a customer purchases a gift card voucher from your website and plans to forward it to friends or family via email, they get a better introduction of your website and might as well make purchases in the future. 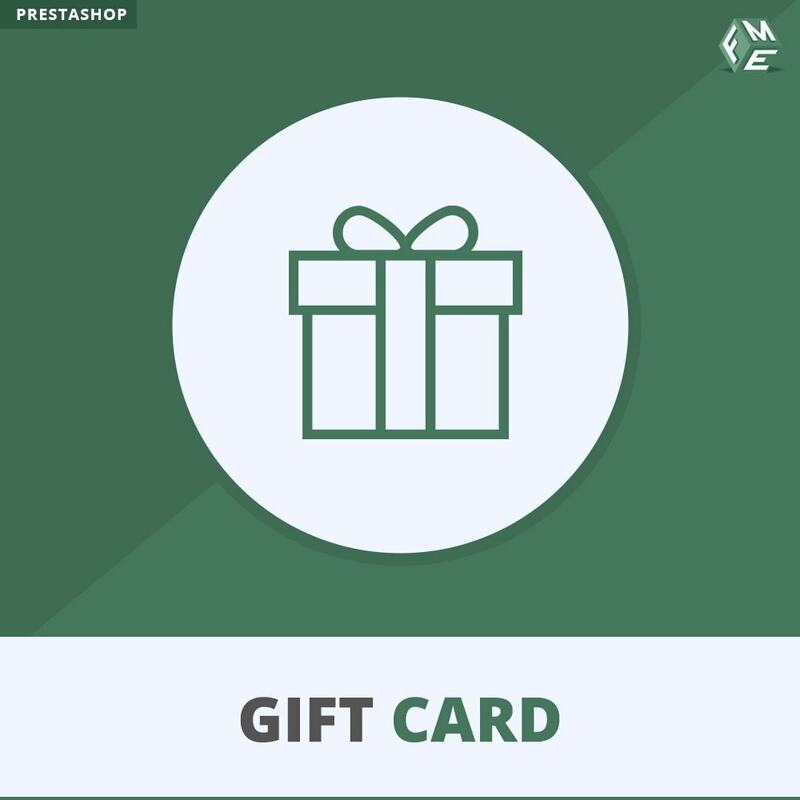 PrestaShop Gift Card extension creates a separate tab by the name of “My Giftcards”, which is available in the customers’ accounts section. They can view and manage the gift cards when logged-in as required. 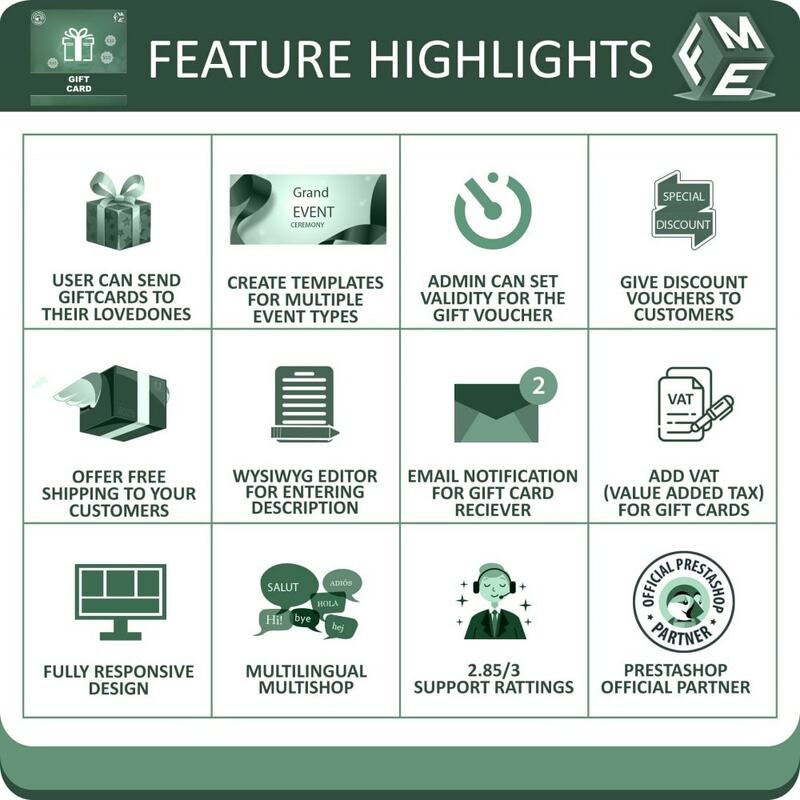 Click on DEMO to learn more about this PrestaShop gift on order extension. Encourage your customers to purchase gift card or certificates for their loved ones so that they can have the items they were craving for. Customers can easily share card certificates by paying in advance and referring their family or friends to avail the gift.